Hmmmm! Let me think about this. What do I build for myself? 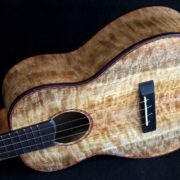 With all the beautiful Koa sets that I have you might think that Koa would be my first choice of wood. 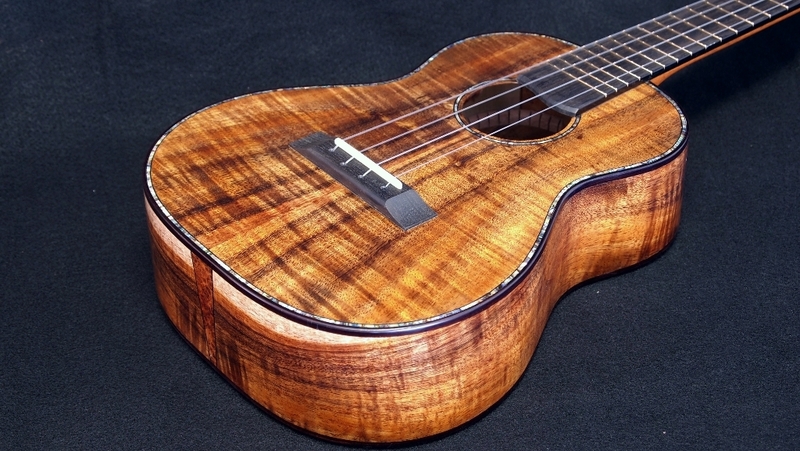 This time the Koa loses out to an Ancient Spruce and Ambrosia Maple Super Tenor Ukulele. There’s a story behind most of the wood that I use and this instrument has it all. The Ancient Spruce is reclaimed from an Alaskan Glacier by Alaska Specialty Woods. It is officially carbon dated to be 2800 years old. 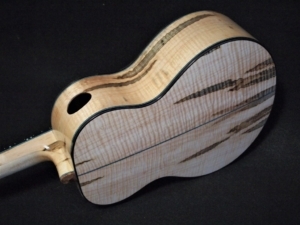 The Ambrosia Maple or Ghost maple is from back East via Tropical Exotic Hardwoods here in San Diego and I haven’t seen this wood for over 7 years. 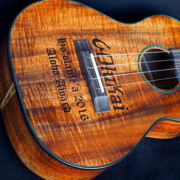 So, I get the ukulele finished and take it to Ric at Hale Ukulele for show and tell and not only does he order a duplicate for himself, but talks me out of my own instrument for sale at his shop. And, that’s where it is now! At least, I think it is still there. Maybe I won’t show him the next one I build for myself. The color of the woods is natural. 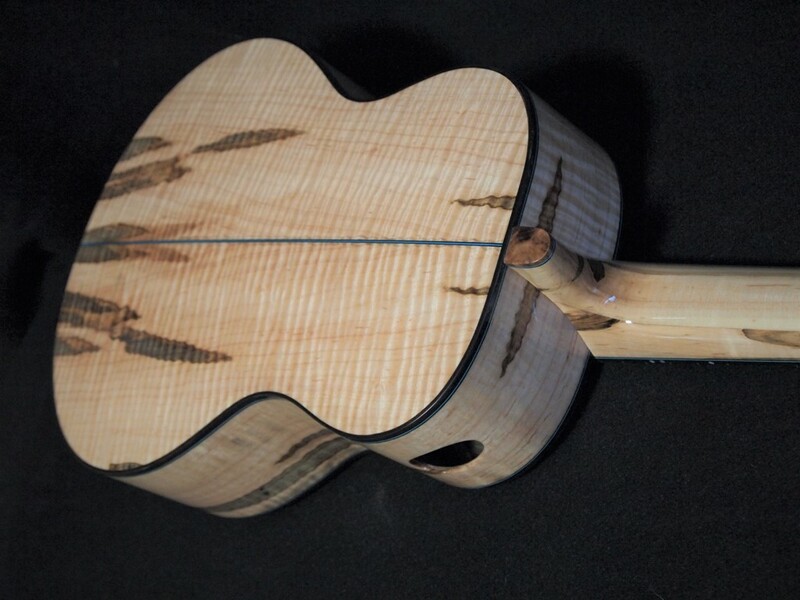 I understand that very little of this ancient spruce is available because of oxidation and degradation to those pieces that are exposed and available for collection. It’s interesting to note that the growth rings of this wood are fairly wide indicating that the growing climate 2800 years ago was very different than it is now. 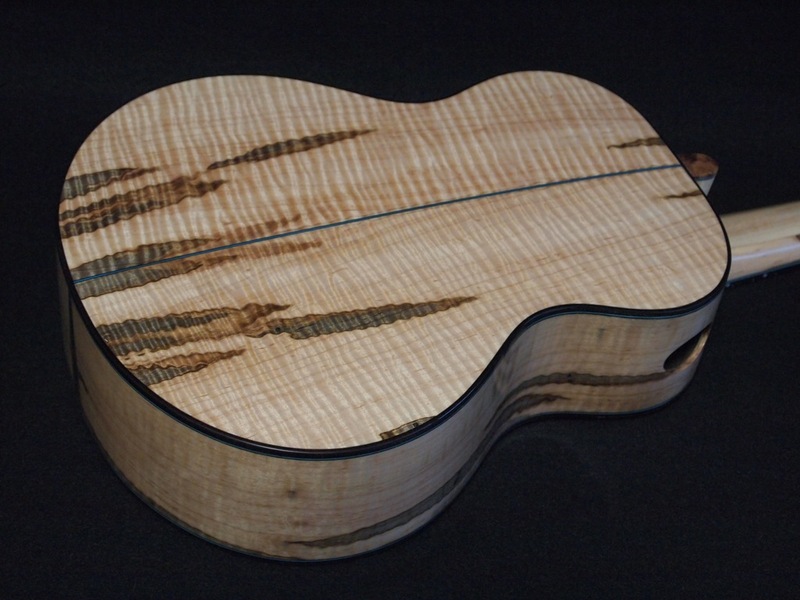 The streaks in the maple are a result of beetle infestation. As with most of my builds, I try to keep things simple and let the woods speak for themselves. 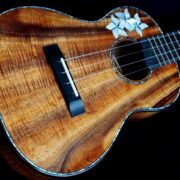 The Super Tenor shape is still my current favorite and with the extra volume this instrument really sings. Go figure? 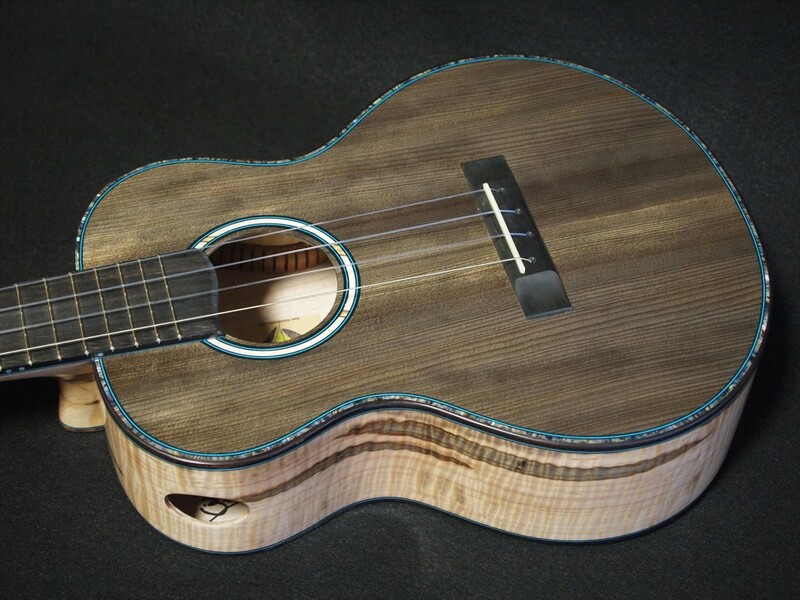 An Ancient Spruce and Ambrosia Maple Super Tenor Ukulele–one-of-a-kind!